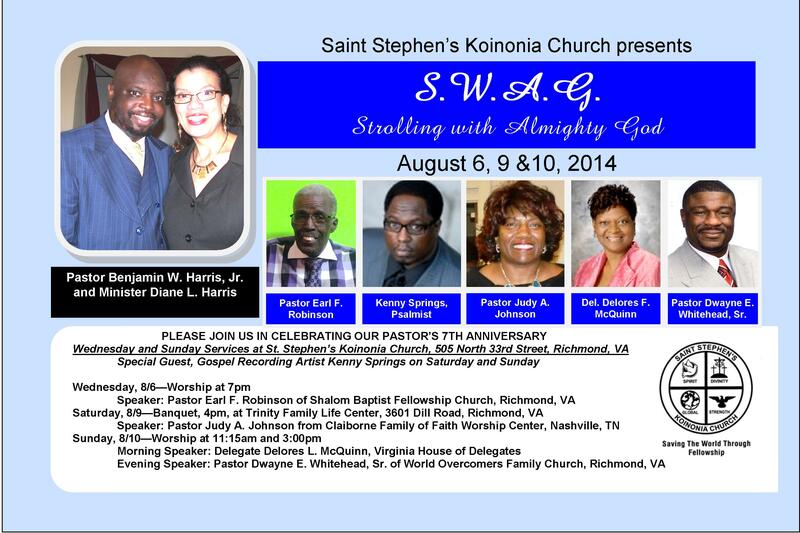 Congregations Join Virginia’s Fight Against Heart Disease. 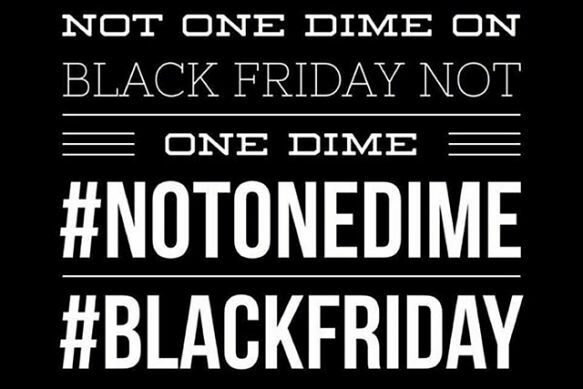 In support of all people who hope for positive changes to come from the travesty of justice recently witnessed in Ferguson, Missouri, but not only in Ferguson, Saint Stephen’s Koinonia Church supports the Black Friday Boycott. Instead of throwing our money away and acting like we just don’t care, let’s show how much we grieve when precious lives are thrown out for no good reason. Let God get the glory this holiday season, rather than big business. We’ve added more to Saturday’s itinerary! 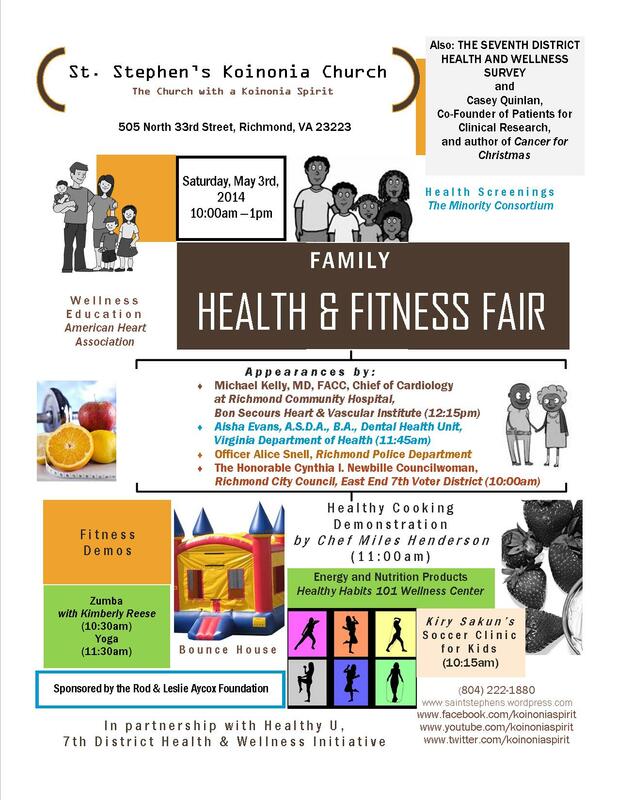 The updated flyer below includes information n the Seventh District Health and Wellness Survey, and Casey Quinlan (@MightyCasey), author of “Cancer for Christmas”. Family Health & Fitness Fair! 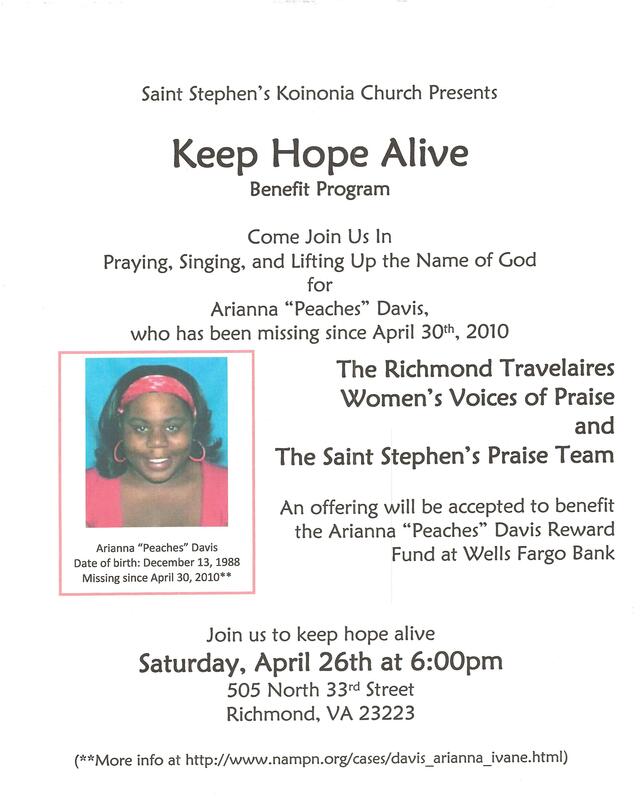 Come to 1708 Harwood Street, Richmond 23234 on Tuesday April 15th, Wednesday April 16th, and Thursday April 17th, at 7pm each night. 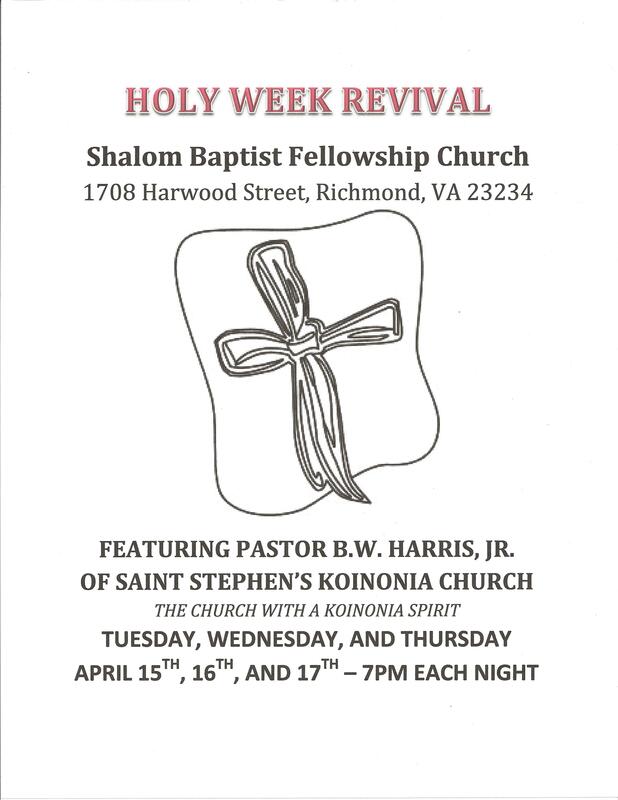 Pastor Harris will preach three nights during Holy Week, as the guest of Shalom Baptist Fellowship Church, Earl F. Robinson, Pastor. Rev. Dr. Roscoe D. Cooper, Jr., pastor of Metropolitan African American Baptist Church, honored us as the featured speaker on our 69th Anniversary.